A fast-acting stripper works quickly to remove the toughest wax and polish build-ups. 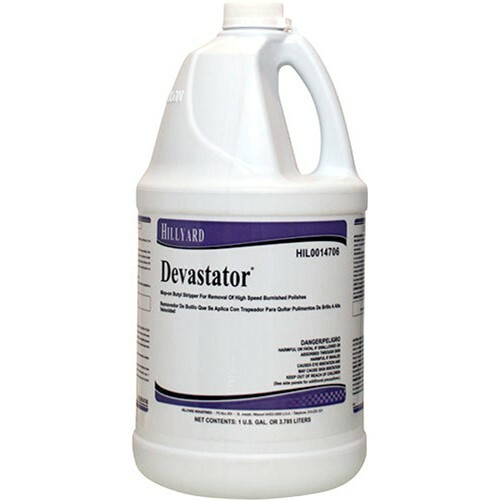 Removes polish coats that have been repeatedly burnished and hardened with ultra high-speed floor machines. Does the job the first time. Reduces labor costs. May be used with a floor machine for extremely heavy polish build-ups. Use on masonry, hard floors and vinyl composition flooring. It should not be used on asphalt tile, linoleum, rubber floors, synthetic sports floors, or any surface that has been painted.